30 Jun 1868 Bukhara a Russian protectorate. 24 Aug 1873 Khorazm (Khiva) a Russian protectorate. 19 Feb 1876 Kokand incorporated into Russia. 13 Nov 1917 Bolshevik rule in Tashkent. 30 Apr 1918 Turkestan A.S.S.R. formed. 5 Dec 1924 Uzbek Socialist Soviet Republic inaugurated. 13 May 1925 Accession to the Soviet Union. 5 Dec 1936 Kara-Kalpak A.S.S.R joined to Uzbek S.S.R. 21 Oct 1989 Uzbek is designated as the state language. 20 Jun 1990 Uzbek declaration of state sovereignty. 26 Dec 1991 Independence effective (U.S.S.R. dissolved). Territorial Disputes: Prolonged drought and cotton monoculture in Uzbekistan and Turkmenistan created water-sharing difficulties for Amu Darya river states; field demarcation of the boundaries with Kazakhstan commenced in 2004; border delimitation of 130 km of border with Kyrgyzstan is hampered by serious disputes around enclaves and other areas. 1500 Khanate of Transoxiana (Mawara’ an-Nahr), capital Samarkand. 1561 Bukhara becomes capital, gives name to state by 1583. Sep 1740 – 1747 Under Persian suzerainty. 1758 Independence of Kokand recognized. 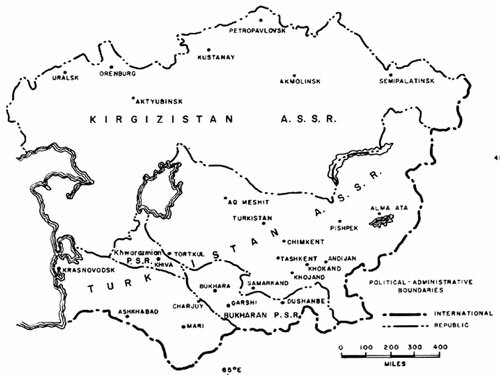 of the western Pamir in 1895. 25 Mar 1918 Independence confirmed by Russian S.F.S.R. 2 Sep 1920 Soviet Russian troops occupy Bukhara city. Emir of Bukhara (attempting to take Bukhara city on Mar 1922). 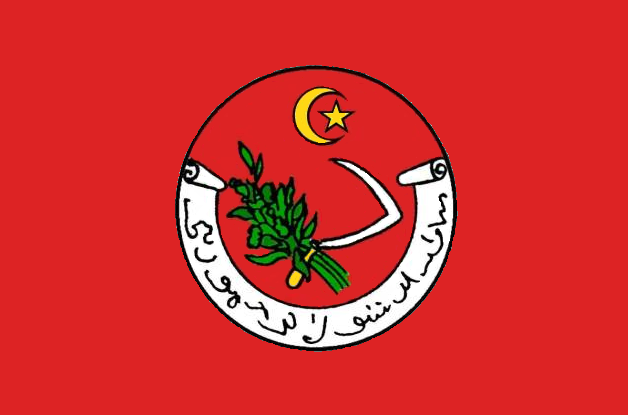 Tajik A.S.S.R.) and Turkmen S.S.R. is again de-facto independent under several local Beks). 1732 Capital established at Kokand (Khuqand), gives name to state. Apr 1842 - Jun 1842 Annexed by Bukhara. May 1862 - 1876 Vassal of Bukhara (interrupted 1863 – Jul 1865). 17 Jun 1865 Tashkent occupied by Russia. Jan 1868 Russian protectorate, Tashkent ceded to Russia. 19 Feb 1876 Incorporated into Russia. 20 Dec 1917 Bolshevik rule in Skobelev, the capital of Fergana oblast. anti-Bolshevik Russian "Peasants' Army", and 3 May 1920). 30 Apr 1918 Part of Turkestan A.S.S.R. 27 Oct 1924 Incorporated into Uzbek S.S.R. 1503 Part of Transoxiana (later Bukhara). 1598 Ceded by Bukhara to the Kazakh Khanate. 1604 – 1605 Occupied by the Karakalpaks. 1723 – 1755 Under the Dzungarian suzerainty, Kazakh rule continues. 1741 – 1742 Occupied by Kokand (again 1744-45, 1749-50). 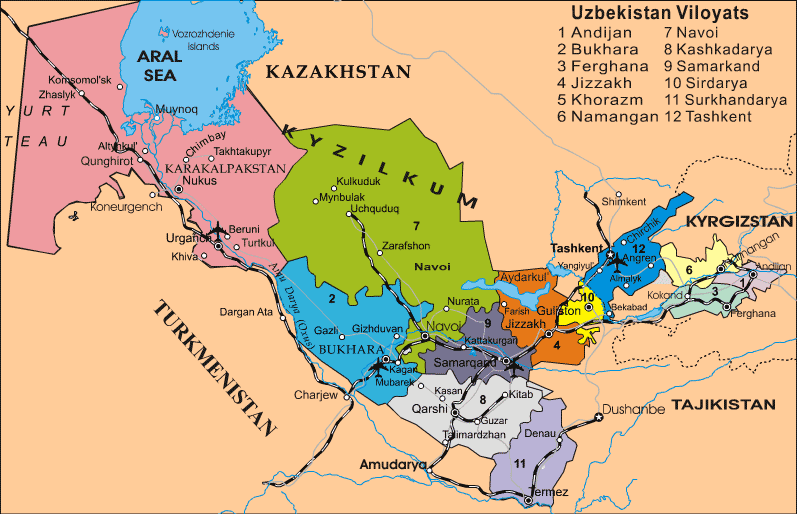 1781 – 1784 Subject to Bukhara, the Kazakh rule ends. 1784 An independent "khwaja" city-state. 17 Jun 1865 Occupied by Russians (ceded by Kokand on Jan 1868). Dec 1740 - Jul 1747 Under Persian suzerainty. Khiva, official name remains Khorazm. bank of the Amu Darya River annexed to Russia. 9 Apr 1919 Independence confirmed by Russian S.F.S.R. 1 Feb 1920 Soviet Russian troops occupy Khiva. (Jan 1924 briefly lays siege to Khiva). S.S.R., and Russian S.F.S.R. (Kara-Kalpak A.O.). to Bukhara; formerly the easternmost part of the Nogay Horde. many Karakalpak rebellions, but only once was a khan elected). 12 Aug 1873 Annexed to Russia. Jan 1918 Bolshevik rule in Turtkul. 30 Apr 1918 - 27 Oct 1924 Part of Turkestan A.S.S.R. government established in Chimbay in opposition to Bolsheviks. 1920 Amu Darya oblast of the Turkestan A.S.S.R. 16 Feb 1925 Kara-Kalpak Autonomous Oblast inaugurated. 20 Jul 1930 Transferred to Russian S.F.S.R. 1964 Renamed Karakalpak Autonomous Soviet Socialist Republic. 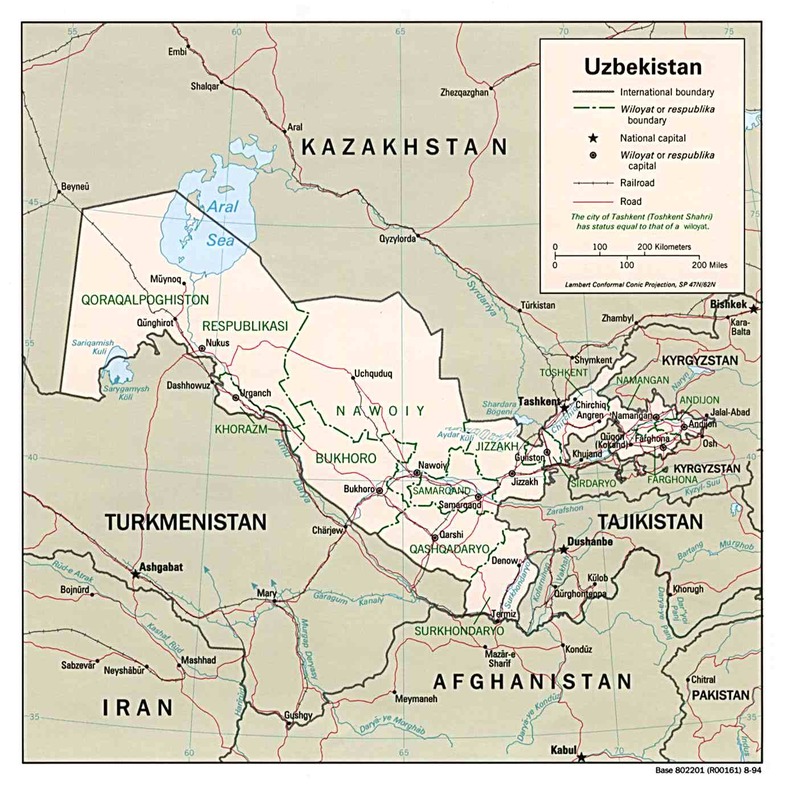 26 Dec 1991 Part of independent Uzbekistan. 8 Dec 1992 Republic of Karakalpakstan (autonomous within Uzbekistan). 27 Oct 1924 Uzbek Socialist Soviet Republic proclaimed (part of Soviet Union). 5 Dec 1936 Renamed Uzbek Soviet Socialist Soviet Republic. Semirechye, Syr-Darya and Transcaspian oblasti. (in the confirmation the word "Autonomous" is added to the name). 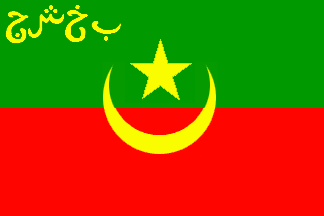 Republics (including Tajik A.S.S.R.) and the Russian S.F.S.R.